Learn, Search and Invest with Property in the UK. 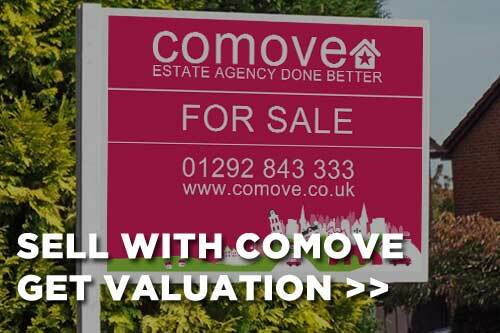 Sell your house fast with Comove. We buy any house in any condition. You want to sell your house or flat and we want to buy it – that is what we do and we can offer on your property same day and have the cash in you bank within 7 days. No costs or fees – we pay for everything. Comove are property buyers, working with homeowners who need a secure sale for the best price possible quickly. We can pay near market value for many properties and work closely with investors, estate agents and partners – working collaboratively to help create true win-win relationships for property owners and the professionals who support them. Our focus is on helping you to sell your home quickly and for the best possible price. Relocation: Moving for work or family commitments? Maybe it is time to retire to another location? Wherever you are going – Comove can save you the time and cost of your property sitting on the market – we can make a same day cash offer, allowing you to move on with your life. Buy To Let Landlord With the never-ending changes in buy to let regulation and the hassle of managing tenants, many property owners are happier to simply sell their property for the best price possible and focus on their priorities. Financial ; Perhaps you need to release equity from your home and time is of the essence If you need a quick solution and want to sell your property sooner rather than later – Comove can help you to achieve this. Repossession We can buy your house or flat fast for cash – taking the pressure away and stopping the mortgage lender from continuing proceedings against you. You have the relief of getting your property sold. .
Divorce Sometimes a quick sale for the best possible price is what both parties want – no hanging around, no more letters between solicitors. Selling your property quickly means you have one less thing to worry about in what is generally a stressful situation. Inheritance Increasingly people are inheriting property and oftentimes don’t have any use for it themselves – it’s far easier to covert the property into cash, which allows you to do what you want, rather than maintaining another property you may not need.